Have you ever thought about playing the harp? The harp is an instrument that will sound great the first time you play. at her studio in Calumet, MI. Click here to go to the Harp Studio Students and Resources page. Emilyn Fay's first time at the harp. Look at those high thumbs; she's a natural! a 22 string student harp. 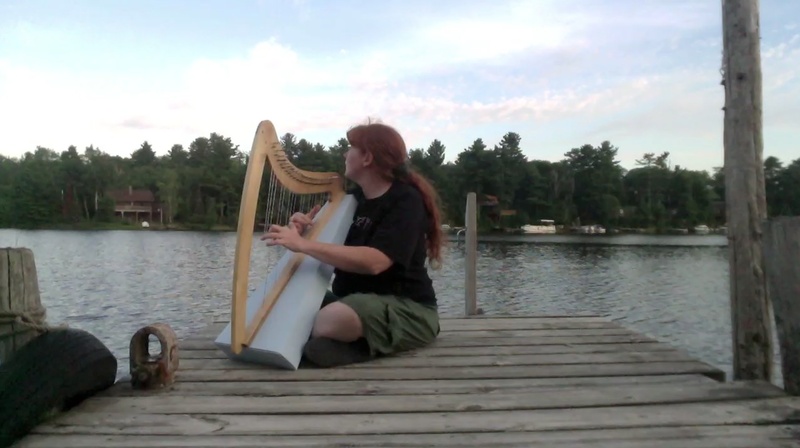 Please inquire about affordable rental harps.